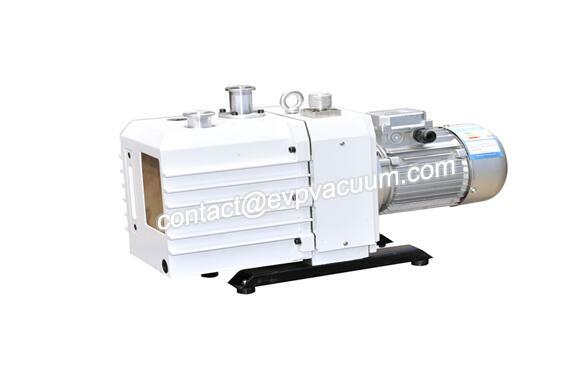 Rotary vane pump for chemicals- Vacuum Pump - EVP Vacuum Solution! Rotary vane pumps are suitable for chemical, petrochemical and pharmaceutical industries and other chemical applications involving chemicals, acids, highly corrosive, toxic and harmful liquids. Chemicals are considered hazardous if they are toxic, corrosive or volatile. Chemicals are dangerous for a number of reasons, including their impact on human health, litigation over serious hazards, and contamination of the environment and food chains, such as pesticides. In industrial Settings, chemical hazards directly affect the safety and reliability of workers, processes and plant equipment. This paper introduces the precautions of pumping to ensure the safety of dangerous chemicals. Many chemicals and solvents are used in the production and industrial processes of various consumer goods. These chemicals can be used as part of the production process for chemical treatment, pharmaceutical industry or wastewater treatment. Chemicals can also be used to clean, treat or process products in metal pickling or to clean equipment using food hygiene processes such as sodium hydroxide in the CIP process. Chemicals can also be used as part of a solution such as toluene or methylbenzene, usually in solvents for adhesives such as super adhesives. Inhalation of these solvents can have effects on the central nervous system, such as forgetfulness, a known cause of cancer. Sulfuric acid is a common industrial acid used in fertilizer production and automobile battery electrolyte. If sulfuric acid comes into contact with the skin, it can cause severe burns. Therefore, it is very important to establish a production process to eliminate the risk of pumping chemical leakage. The effects of background retention of chemicals cannot be ignored. For example, hydrochloric acid can corrode the eye, tooth enamel and respiratory system, causing long-term harm to the health of employees. If the chemical is highly toxic, such as volatile substances such as hydrofluoric acid or acetone, it is essential to minimize the impact of chemical vapor retention in order to ensure the overall safety of the plant. Chemicals are usually packed in barrels or containers and sent to the plant, where they are then transported to the reactor, storage tank or production line in the production area. During production, chemicals are diluted and mixed with other chemicals or suspended solids. When chemicals are mixed with different types of materials, the original chemicals may need to be recovered through a filtration system. Because these chemicals pose a threat to the local environment, they need to be used in a manner that reduces or completely eliminates the risk of leakage or accidents. Sealing system is the key to ensure the safe operation of pump. “Pump must be as good as the seal” is the famous saying of the industrial pump industry. Pumping principles usually limit the choice of seal type. This will be explained in detail by comparing the shaft sealed pump with the unsealed pump. Most number axis sealed pumps, such as CAM rotor pumps, centrifugal pumps, gear pumps and vane pumps, require a sealed structure to be installed between the shaft and the pumped fluid. The simplest method is to use gland packing. The disadvantage of using packing rings is that they generate heat, which causes many problems in the explosion danger zone. In addition, the packings function only when the pumped fluid is used as a lubricant and coolant for the packing ring. Constant maintenance of packing gland due to wear problems. Although packing rings are tightened, the inherent risk of leakage is always present. The problem may be exacerbated by crystallization of fluid in contact with air, for example, by varnish which increases wear on the filler. To reduce the risk of fluid evaporation, the gland packing may be fitted with a thimble and coolant. However, the pumped fluid can still penetrate the packing ring in front of the thimble and will be diluted in the coolant. In the event of a drop in isolation level and/or pressure, an alarm will be triggered indicating a failure and the pump needs to be repaired. This type of pump unit is expensive for the end user for sealing and spacer replacement as well as flushing and assembly time and downtime. If the system does not alarm, catastrophic leaks are inevitable.